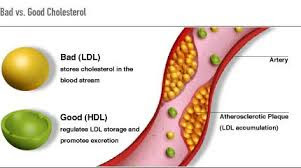 Healthizen's Blog: What is Cholesterol ? "Cholesterol" - A term worthy enough to raise eyebrows, Right? Let us know what is - Cholesterol. Cholesterol is a steroid. It is a waxy, fat like substance found in all cells of the body. 80% of cholesterol is produced by your body and 20% comes from the food that you eat. Which means you got to exert your body in the right way - enough to help your cells make less of cholesterol! Liver is primary organ for formation of cholesterol, a small amount is made by the lining of small intestinal and rest by individual cells of the body. 1) Formation of hormones - testorone, progesterone, estradiol and cortisol. 2) Production of bile salts necessary for digestion. 3) Gets converted to vitamin D, when the body is exposed to sunlight. a) High Density Lipoprotein - Good for your heart and the body as it lowers deposition of plaque. b) Low Density Lipoprotein - Harmful for the heart and the body as it enhances the deposition of plaque. c) Very Low Density Lipoprotein - Less important than the above two. Too much of one type and less of the other cause problems related to heart referred to as Angina and brain referred to as Stroke. This is the basic information about cholesterol.So before you think your grocery foods must be 'cholesterol free' give this basic information a second thought. Pre-conception Detox - Why & How? 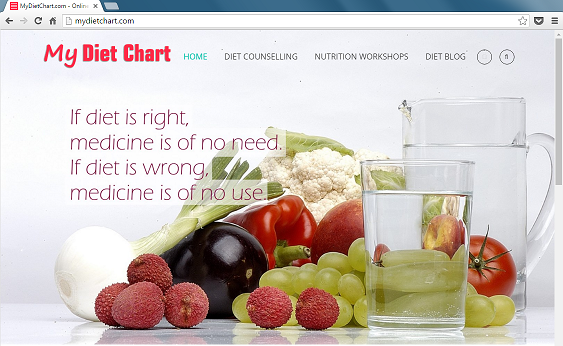 Diet chart from the INTERNET - Right or Wrong?